Bumblebees are frequent flyers - what are the impacts? 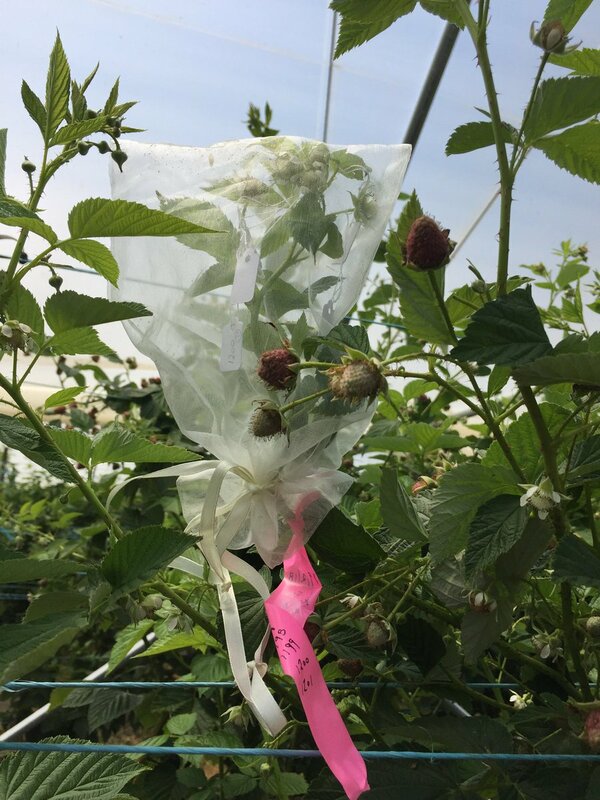 Romina, Manu and Toby wrote a blog post for Journal of Applied Ecology on a recent paper published in the journal about introducing bumble bees to new regions for crop pollination. There's been lots happening in the Rader Lab recently! 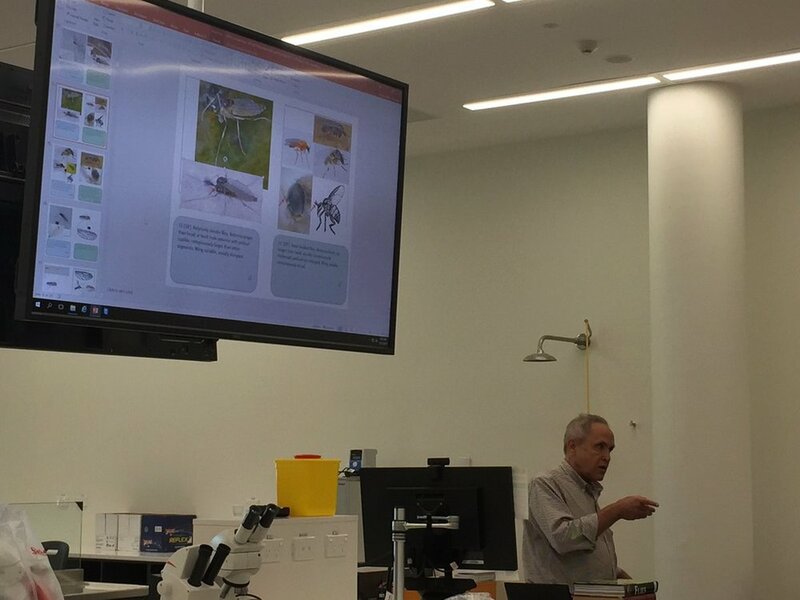 Dan Bickel from Australian Musuem visited us at UNE late last year to teach us all the art of Diptera identification. Flies are awesome. While we were in the taxonomic mood, Toby also took the opportunity to test his new ID key for native bees with us, which we are looking forward to seeing out! 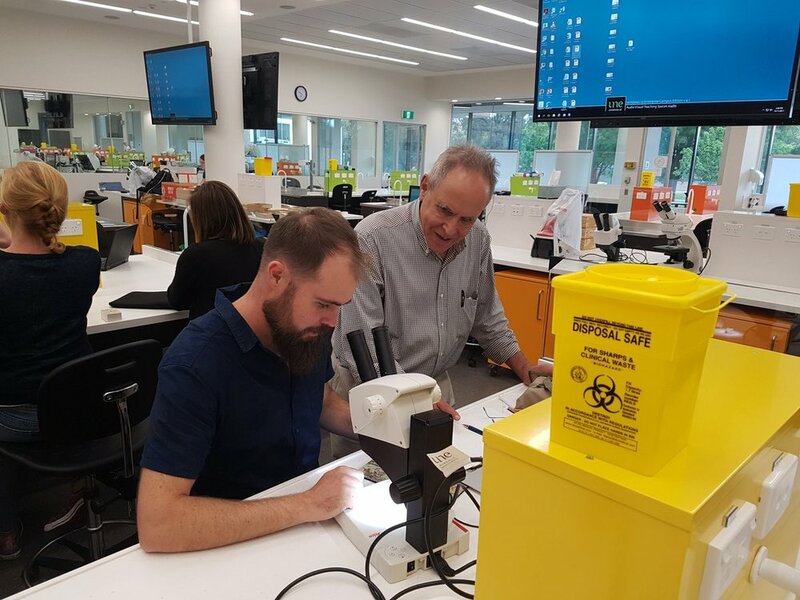 We also had a visit from Simon Haberle from ANU, who taught the lab valuable skills in pollen acetolysis and identification. Emma has just returned from her field season in the alpine region around Mt Kosciuszko. See this previous post with some pictures of her gorgeous field sites! She is on the home stretch now, and is looking forward to getting into her data analysis and writing up the honours thesis. Carolyn notes the Smart Farm bee hives are doing really well. 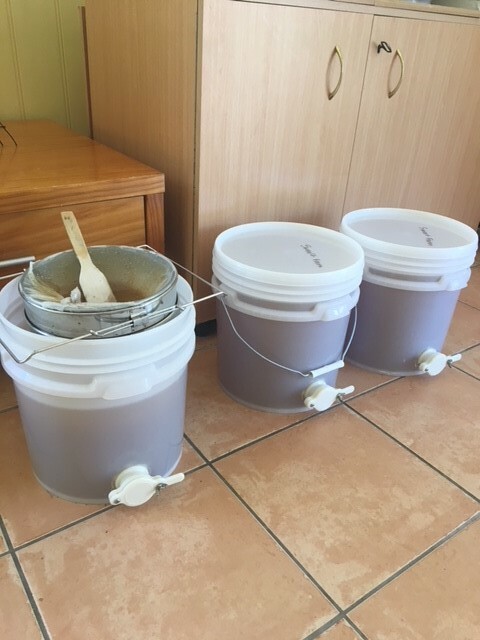 So far they've produced about 100 kg of honey, which is not a huge harvest but there's lots left to keep them going over winter. All four hives have young queens and are set up well for winter although they won’t be getting much time off work because they are about to start a pollination project! Liam has just returned from Europe. 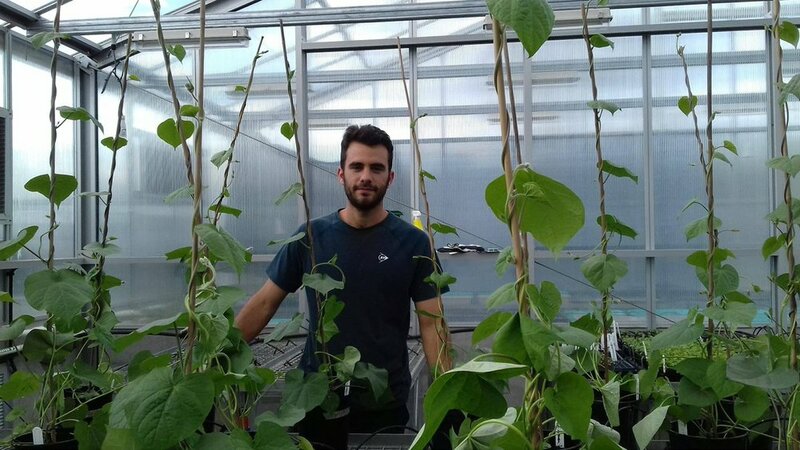 He spent some time in Spain with Rader Lab collaborator Ignasi Bartomeus, where they worked on developing an R package to help with measuring pollinator traits, like body size and foraging distance. He then met up with collaborators in Switzerland. Stay tuned for a blog post on Liam's travels coming soon. Romina spent some time at the Royal Easter Show in Sydney promoting our crop pollination research. UNE was allocated a large section of the agricultural pavilion and produced an awesome display featuring some of the agricultural research happening here at UNE, including Rader Lab's pollination research. And congratulations to the UNE team who put it together, as the display won the Gold Award for Commercial Exhibitor in the agricultural section! Mark has just finished up field work in berry farms near Coffs Harbour, where he designed a protocol for assessing stingless bee flower visitation rate inside polytunnels. He is now on leave to knock off the last bit of writing to finish his PhD! 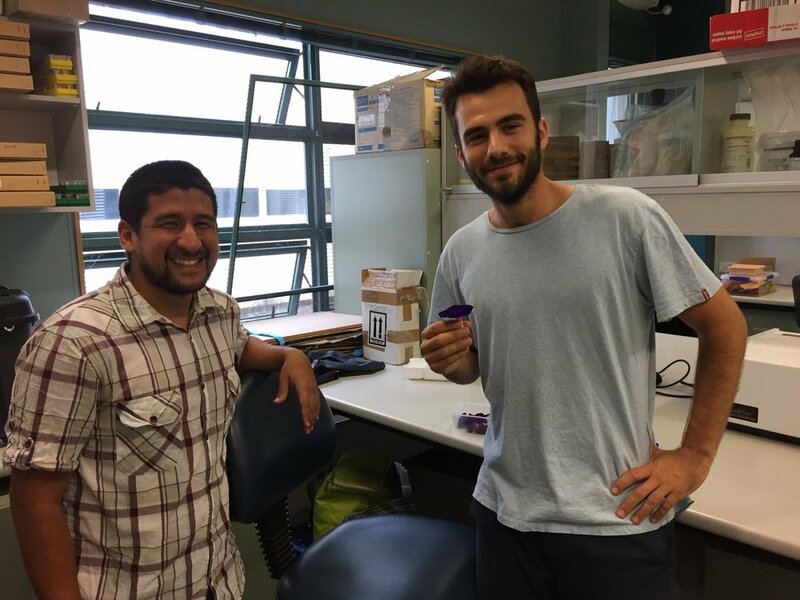 Jose and Juan both received a CSIRO top-up scholarship for their PhD research projects. Congratulations! 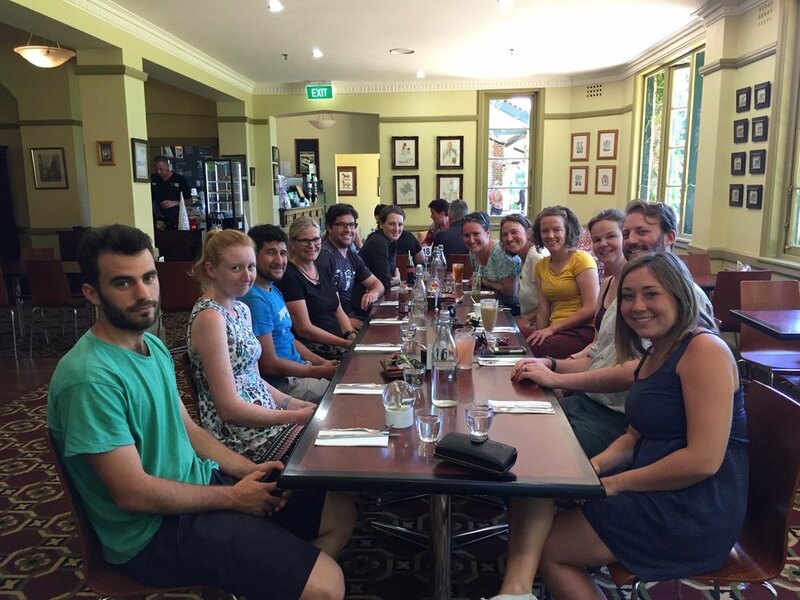 We farewelled Charlie (from Canada) and Malou (from France) at the end of 2017, but collaborations continue and we hope to see them again soon! 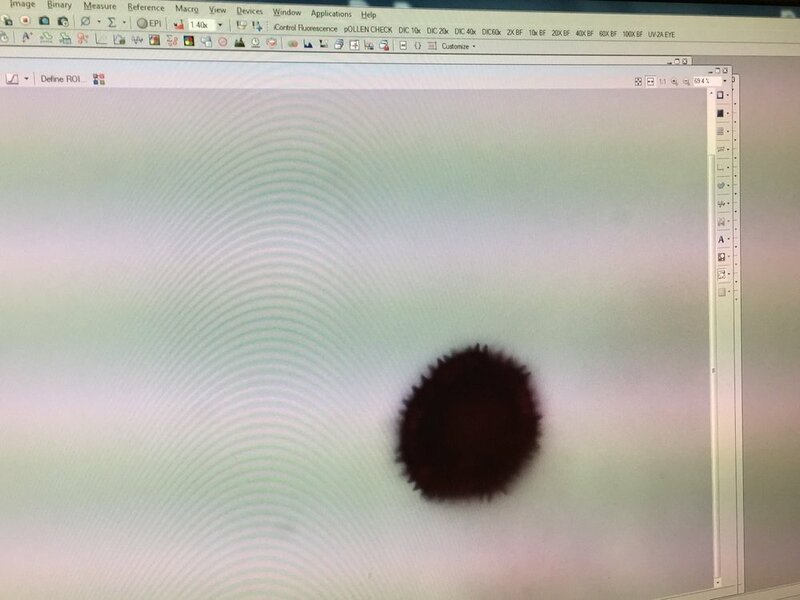 New member: Greg Bible (page coming soon) has just started his honours looking at how heterospecific pollen affects seed growth. Willcox BK et al. (2017) Absence of small hive beetles from flowering plants. Journal of Apicultural Research, 56:643-645. Lobaton JD et al. (2017) Resequencing of Common Bean Identifies Regions of Inter–Gene Pool Introgression and Provides Comprehensive Resources for Molecular Breeding. The Plant Genome, doi:10.3835/plantgenome2017.08.0068. Birkhofer K et al. (including R Rader) (2018) Relationships between multiple biodiversity components and ecosystem services along a landscape complexity gradient. Biological Conservation, 218: 247-253. 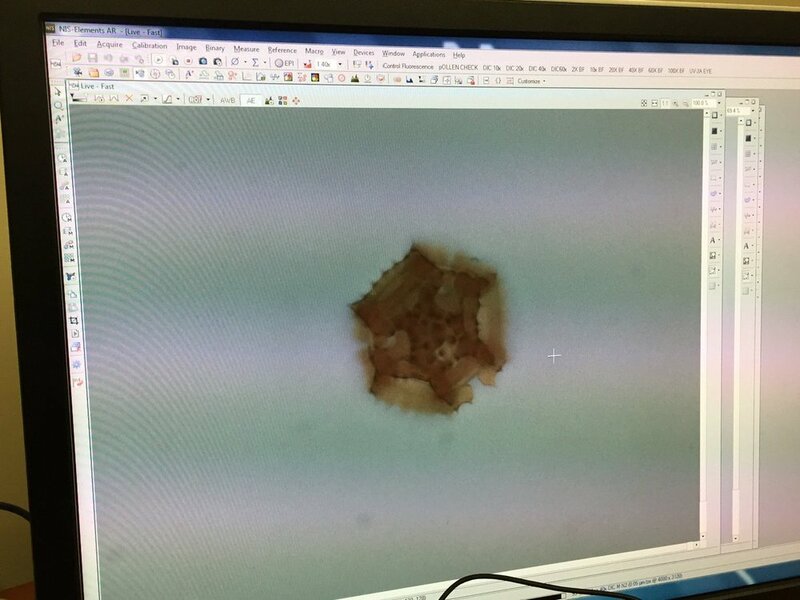 Lanuza JB et al. (2018) Opposing effects of floral visitors and soil conditions on the determinants of competitive outcomes maintain species diversity in heterogeneous landscapes. Ecology Letters. Some wind-pollinated plants are an important pollen source for insect pollinators, but there is limited knowledge of how pollinator communities interact with wind-pollinated plants in their environment. Manu has just published a systematic review collating documented records of bees and hoverflies visiting wind-pollinated plants. Bryony's new paper, co-authored with Romina, Margaret Mayfield (University of Queensland), Saul Cunningham (Australian National University) and Marcelo Aizen (Universidad Nacional del Comahue), is now online at Current Opinion in Insect Science. The paper presents a conceptual review of recent literature on pollinator effectiveness and identifies pros and cons of current methods. The paper argues for greater acknowledgement of the role plant-pollinator community interactions play in pollination effectiveness. The paper is open access. Willcox BK, Aizen MAA, Cunningham SA, Mayfield MM, Rader R. (2017) Deconstructing pollinator community effectiveness. Current Opinion in Insect Science. Lichtenberg EM, Kennedy CM, Kremen C, Batary P, Berendse F, Bommarco R, Bosque-Perez NA, Carvalheiro LG, Snyder WE, Williams NM, Winfree R, Klatt BK, Astrom S, Benjamin F, Brittain C, Chaplin-Kramer R, Clough Y, Danforth B, Diekotter T, Eigenbrode SD, Ekroos J, Elle E, Freitas BM, Fukuda Y, Gaines-Day HR, Grab H, Gratton C, Holzschuh A, Isaacs R, Isaia M, Jha S, Jonason D, Jones VP, Klein A-M, Krauss J, Letourneau DK, Macfadyen S, Mallinger RE, Martin EA, Martinez E, Memmott J, Morandin L, Neame L, Otieno M, Park MG, Pfiffner L, Pocock MJO, Ponce C, Potts SG, Poveda K, Ramos M, Rosenheim JA, Rundlof M, Sardinas H, Saunders ME, Schon NL, Sciligo AR, Sidhu CS, Steffan-Dewenter I, Tscharntke T, Vesely M, Weisser WW, Wilson JK, Crowder DW (2017) A global synthesis of the effects of diversified farming systems on arthroopd diversity within fields and across agricultural landscapes. Global Change Biology, DOI: 10.1111/gcb.13714.